Thanks to everyone for your responsiveness, care and concern for the thousands of people affected by the tornado in Joplin, Missouri, Sunday night, May 22, 2011. If you have been following the news, you know the devastation is profound. Rev. Steven Urie, the pastor of Spirit of Christ MCC in Joplin, and his partner, Heath, are safe. Rev. 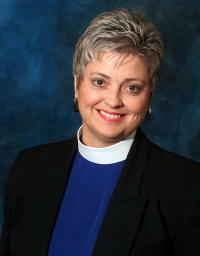 Carol Trissell, pastor of MCC of Greater St. Louis, Missouri, met with Rev. Steve Urie, pastor of Spirit of Christ MCC, and the congregation to offer grief counseling and deliver additional supplies. Rev. Carol is working with MCC clergy who are also trained in counseling to create a pastoral care plan to meet the needs of SOC MCC tornado victims. Pastor Tom Emmett from MCC Omaha will survey SOC MCC members and friends next week to help shape the role of his visit to the church June 17-20. During that time he will work with the pastor, board of directors, and congregation to begin a conversation to identify short and long term goals which will also include the allocation of donations. Rev. Elder Lillie Brock and network co-leads Linda Beckstead and Terry Curry remain in ongoing contact with Rev. Steve to assess the congregation’s needs and provide support as it is identified. Susie Brenner, from Brenner-Beckstead Ministries and MCC Omaha congregants will travel to Joplin to worship with Spirit of Christ MCC June 12. Susie will provide the music since the church’s sound system and iWorship collection was destroyed in the storm. Additional supplies and donations continue to support Spirit of Christ MCC during this recovery period. You can send donations directly to Spirit of Christ MCC, PO Box 1843, Joplin, Missouri, 64802. You can also contact Network Co-lead Linda Beckstead at [email protected] or 402.850.7153 if you have any questions. 1) Go to our website at https://mccchurch.org/ministries/disaster-relief/. 2) Scroll down to the Joplin May 2011 alert. 3) Click on the Support tab.